In this age of digital everything, music and photographs often only exist in ones and zeros. Call me a throwback, but I like tangible items. In recent years I have become more and more fond of vinyl records and instant photography. My record collection is growing and so is my instant camera collection….and the instant photographs to go with it. My first instant camera was a Fuji Intax 210 wide. I was instantly hooked (pun intended). I have taken hundreds of photographs with this camera and it is great for general, quick-impulse all-around instant photography. It is not a portrait camera per se, but what exactly is considered a portrait? (That’s a question for another day.) All I can say is that the Fuji is a really fun camera that I will use until it dies and then I will get another one. It is a must-have camera for every photographer. While out on a portrait sessions, I will often break out this camera and get a quick shot for clients. They are always amazed that such a camera still exists. While I love the Fuji camera, it has its limitations. As a professional photographer in Panama City Beach I often utilize off-camera flash for my photos. I haven’t quite figured out a way to do that with the Fuji camera. That led me to look for a converted Polaroid camera that would allow me to shoot manually and also use off-camera flash. After reading and reading and reading some more, I found the perfect camera. It is a Polaroid 110A/600SE. I won’t bore you with the details of the machine….just trust me when I say it is awesome. This is not a point-and-shoot camera. Taking an instant photo with this camera is a calculated, time-taking endeavor that rewards handsomely when done well. This camera is not for the faint of heart. There is nothing automatic about it. You have to be on point every step of the way for the image to turn out the way you want. Using this camera is an adventure to say the least, but a worthwhile adventure that I cannot get enough of. 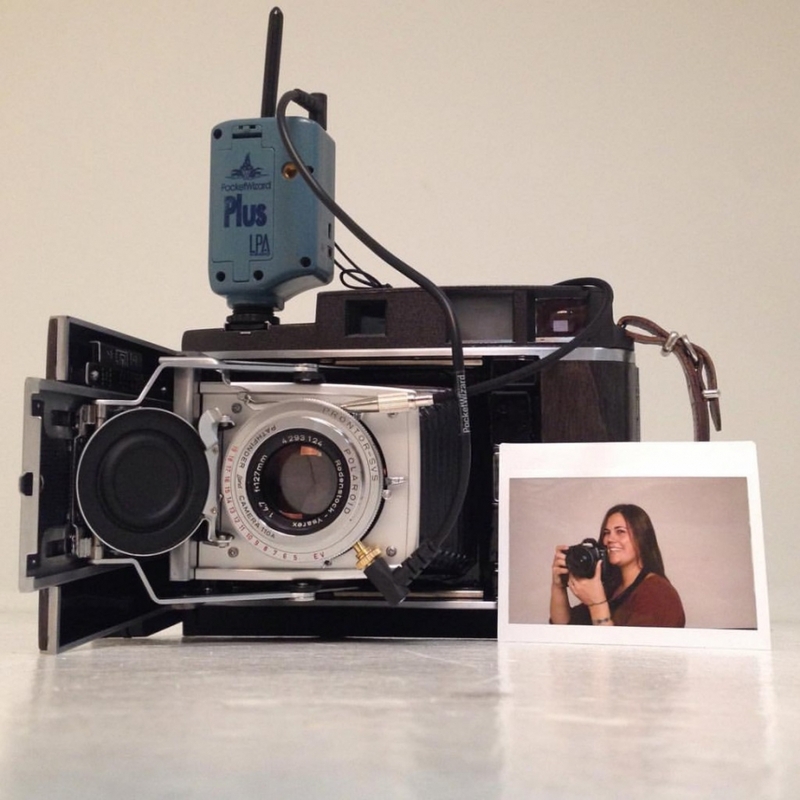 Will companies continue to make instant film? I certainly hope so. Until they stop making it, you can catch me grabbing a quick snapshot of my son’s antics around the house or at the beach attempting to balance the ambient light with off-camera flash. If you see me out, ask for a quick photo. You will see for yourself how satisfying it is to actually hold a one-of-a kind snapshot of time in your bare hands. 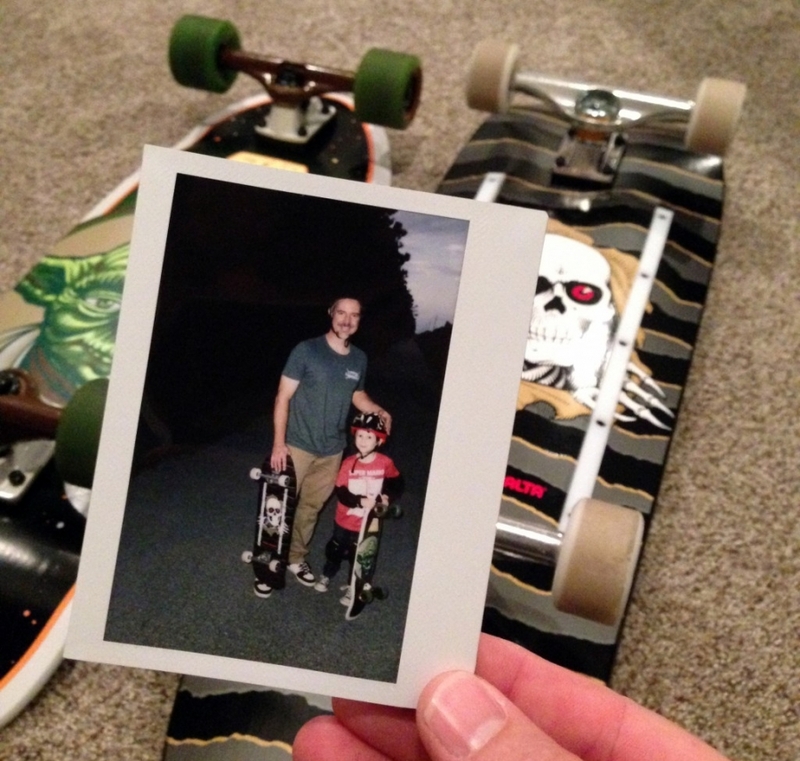 This was the first day of skateboarding for my son. Twenty years from now it will be so fun to dig through my box of instant prints and find gems like this one. 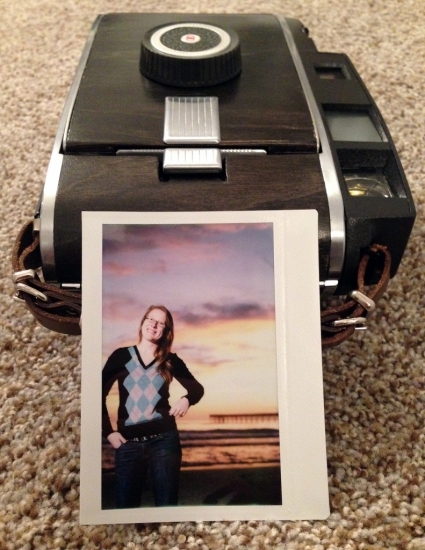 My friend Patti graciously posed for me during my initial light test with the converted Polaroid camera. I took one of my old Polaroids on vacation to Nashville and had an impromptu photo session with Michael, one of my oldest friends. My son peruses Fuji Instax photos from a vacation on Universal Studios in Orlando. My son reacts to Grandma’s lack of Mario Brothers skills. One of my all-time favorite instant photos.